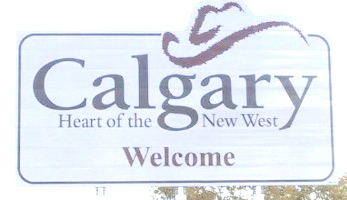 I have always been interested in traveling to Calgary. The information in this article makes me more interested in traveling to there and seeing the sites. I feel that the map may be lacking in some areas still. I've never been great at directions and the warnings of this article make it sound like traveling in the area can be very confusing. Would this map be able to help the even most directionally-challenged people or does it contain too much information? While being able to find important landmarks is great for a traveler I would hate to have a map that is overcome with too many sites. Do like the clickable map and if one knows a certain area they want to travel to they can click on it. Feel this is a good resource to possibly begin planning a trip to the area. Barry's Response - For visitors, I find paper maps work better than online ones. Whether you pick up a free one at a tourist information booth or a cheap one at 7-Eleven, you can usually talk to someone who knows the area and pencil in notes on the map for your reference. That's been my experience. Thanks for these thoughts, Michelle.